It’s not enough to windowshop the storefronts of your locally owned businesses. If you want these stores to stick around step up, step in, and explore the wonders of shopping small. And maybe buy something too. Here are just a few local DC-area shops worth your support (Georgetown boasts enough stores to fill at least a day’s worth of wanderings so we’ll let you discover those on your own). Think of it this way, of all your resolutions for 2017, this one might be the easiest to keep and will help not only you but your neighborhood as well. 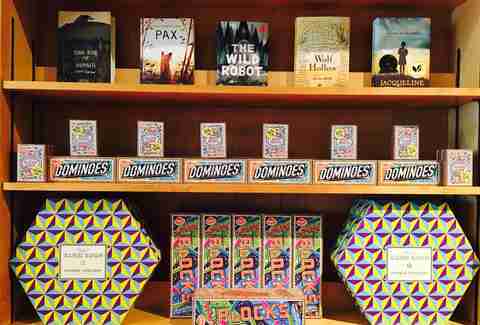 Assuming you’ve been to Kramerbooks, consider showing these other local bookstores some love. Upshur Street Books in Petworth recently celebrated their two-year anniversary. The small but thoughtful inventory is worth exploring at least a few times a year as the staff cycles through their recommendations. They’ve been known to feature readings from local authors and often partner with next door bar and restaurant Petworth Citizen for events like an Indian cookbook release party. Pro tip: If you have a specific book in mind, skip Amazon and call Upshur to order it instead. As you descend the steps and enter East City Books, you can’t help but smile -- salty greeting cards, books by local authors, and events like ‘adult coloring books and (free) wine.’ This relatively new addition to the Eastern Market neighborhood (April ‘16) is community-focused and offers two free book clubs each month (fiction and non) as well as a consignment sales program to help support independent authors. Want to meet your maker? 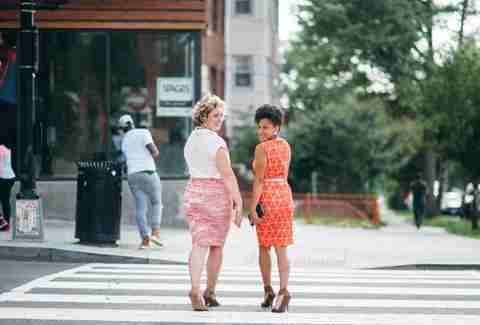 Shoutout to holiday market favorite Stitch & Rivet for opening their own storefront in Brookland. While you probably won’t meet the artisan, these other two local shops are great for finding something unique to complete your look. Limited quantities, affordable prices, cute and unique designs are what Willow is all about. It’s nice to buy something here and know that no one else at work will probably be wearing it. The center of the Petworth store has great gifts for any occasion and age. Willow recently opened a holiday pop-up shop in Columbia Heights next to Bad Saint (probably to take advantage of the ridiculously long line of patrons waiting to get in). While its name Proper Topper might refer to hats, this beautiful Dupont Circle boutique offers so much more. A good section of the store is DC-centric and highlights the work of local artists. The rest represents a thoughtful mix of what you might want to add to your closet or gift giving reserves (think cozy knit blankets, delicate jewelry, and adorable dog toys). Nowhere to park? They bring it curbside. 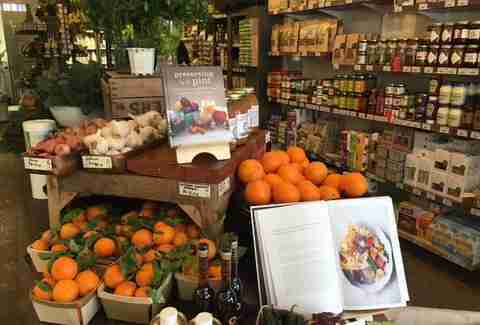 If you love Glen’s Garden Market, be sure to check out these two other local food markets. Not only is the name Each Peach adorable, but this little Mt. Pleasant market has just enough of a variety of high-quality food to be dangerous for your wallet and your stomach. Impress folks at your next dinner party with a selection of their locally sourced dips, salads, meats, cheeses, and more. As for Smucker Farms of Lancaster County, we’ve got four words for you: Bullfrog bagel breakfast sandwiches! Even if you arrive too late to U Street Corridor to enjoy these (they sell out fast), there’s always lunch or a wide-selection of beer, wine, and locally sourced groceries. Bonus: They offer a seasonal weekly farm share and staff who know their booze. 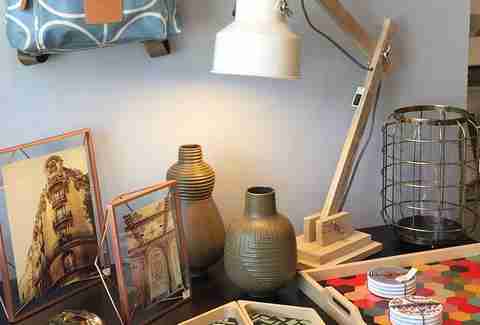 Wander through both of these stores that offer a fresh take on home furnishings and kitchen accessories. 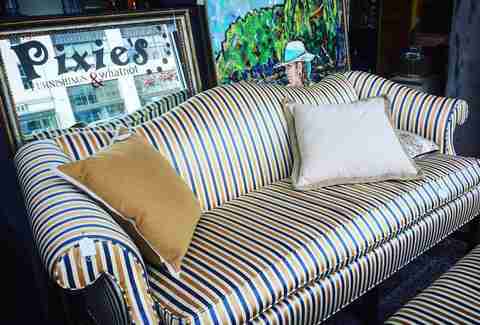 Tabletop DC (located in Dupont and now in Takoma Park MD) is like an extension of an awesome museum gift store that showcases modern designers and artists alongside some of its more silly pieces (pug pillow anyone?). Home Rule (on 14th Street/Cardozo) is a totally cozy store that packs almost every tool and accessory your kitchen might need from high-end pastry tools to ice cubes in the shape of icebergs. 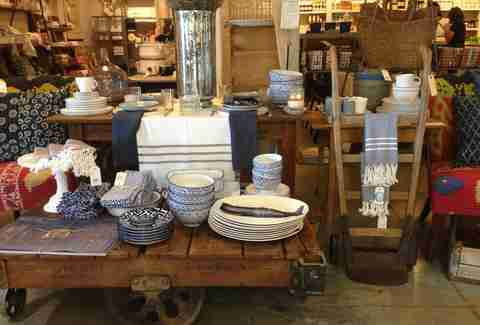 The first time you walk into Union Market you can’t help but be drawn into Salt & Sundry. Each piece is thoughtfully curated and displayed in a way that begs you to think about where it might have a special place in your home. The prices are a little steep, but if you feel guilty splurging on yourself consider it a fun spot for gifts. 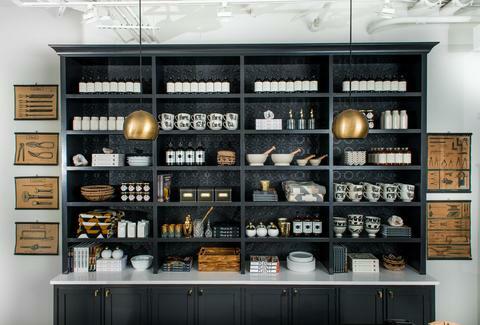 Salt & Sundry recently opened a brick and mortar in Logan Circle where they have a little more room to display their full vision of home and kitchen bliss. Eastern Market’s Hill’s Kitchen is a great place for newlyweds, new homeowners, and newbie chefs looking to stock their kitchens for the first time with high-quality classic pieces. It’s also a perfect place to find a present for the skilled chef in your life. There’s a fair bit of fun and whimsy in the store with their state-themed cookie cutters, and DC-centric accessories, but the staff isn’t playing around (which is good, because, well -- knives). The great thing about Annie’s Ace Hardware is that each location is locally owned, operated, and in tune with their respective neighborhoods. For example, the one in Petworth is dog-friendly, the staff know exactly where to find what you’re looking for, and there’s a cute little garden store offering up seasonal green goodies (herbs, Christmas trees, etc.). 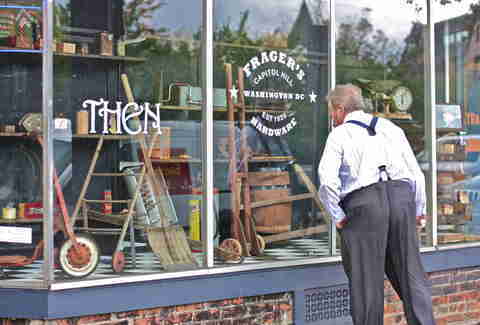 Then there’s Frager’s in Capitol Hill. This hardware store wins the award for local store that’s been around the longest (est. 1920). That’s probably also a big part of why the community rallied around the store and its staff after a four-alarm fire destroyed its original location back in 2013. After co-locating services with other stores in the neighborhood, Frager’s reopened with two smaller locations -- Frager’s Hardware and Paint store on E St SE and Frager’s Garden Center just around the corner on Pennsylvania Ave SE. Layla loves exploring local book stores and anywhere that sells cheese or chocolate. You can follow her on Twitter and Instagram @Layla.Bonnot .